Schlosser Funeral Home & Cremation Services is proud to operate a full-service facility to care for the needs of our families. From cremation and burial options to celebrations of life and memorial services, we'll guide you through every decision. 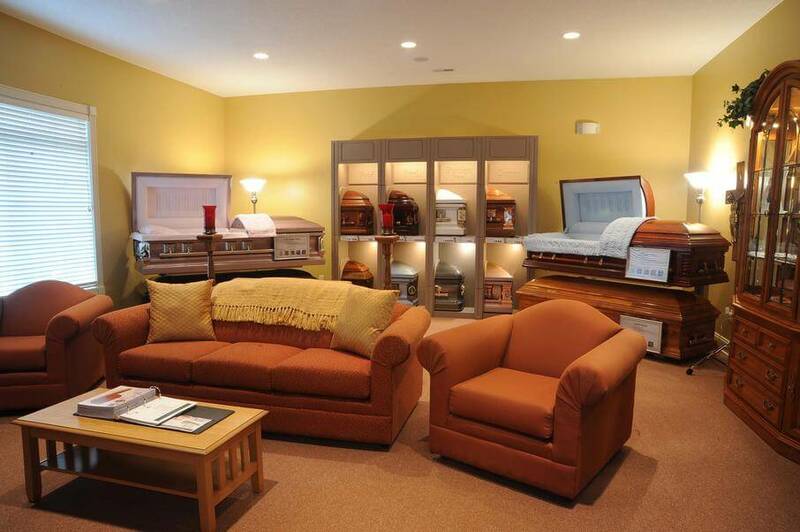 Schlosser Funeral Home & Cremation Services consists of 5500 square feet that have been designed with your family's comfort in mind. 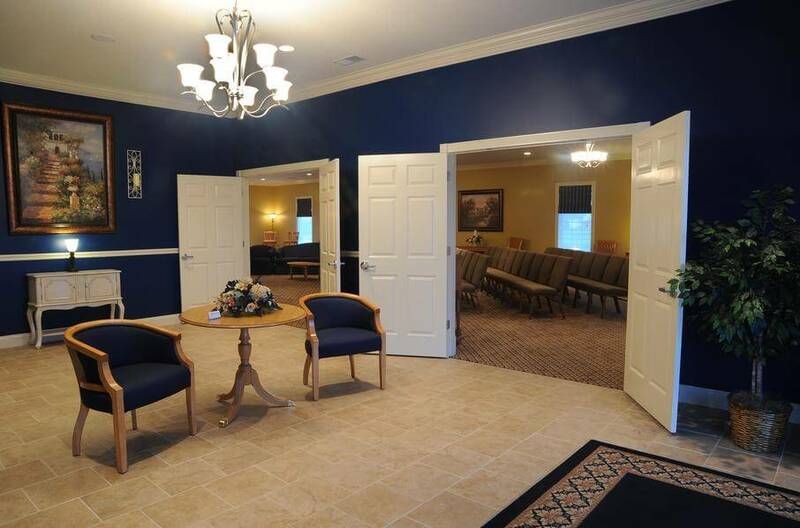 During the design phase of the construction process, I traveled to several funeral homes throughout Ohio and Kentucky researching what I thought would be the best layout for our facility. 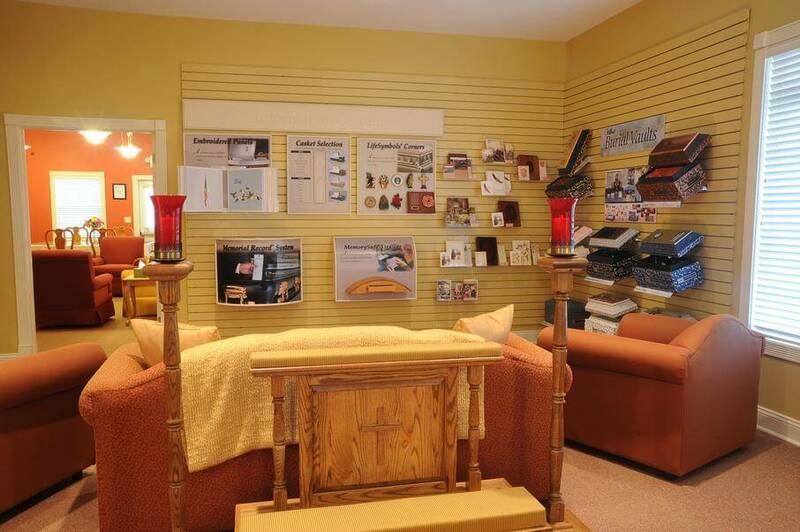 Schlosser Funeral Home & Cremation Services is the culmination of that research. I have tried to design a funeral home that incorporates a spacious lobby, large chapel, space for visitors to sit and rest, all connected with open corridors. The funeral home is completely ADA and offers generous parking. It is our hope that the captions and accompanying photos below will give you a better idea of what all we have to offer. Should you wish to come and receive a tour, please do not hesitate to contact me at anytime. The front doors of the funeral home open directly into the lobby. The lobby has plenty of space to hang coats and is connected to the chapel, as shown in the below photo. Here you will also find myself or funeral home assistants during every visitation to assist you with any needs you may have. The funeral home is also equipped with a wheelchair, should you require one while here. 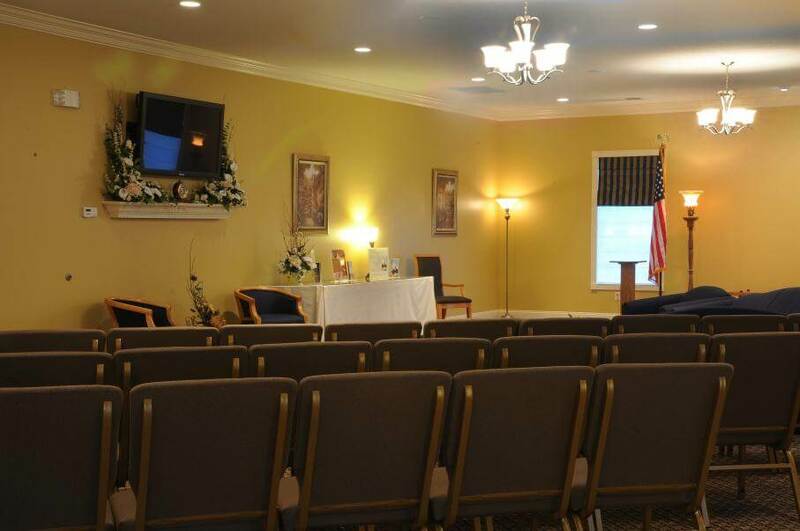 Above are three photos that show Schlosser Funeral Home's spacious chapel. The chapel is large enough to accommodate any size of family and gathering. These photos show the chapel as it is typically set for a visitation. As you can see, it is furnished with comfortable chairs and sofas, arranged to promote conversations. There is also an 8' table set up along the wall to display any memorabilia you wish to bring in, such as framed photos, trophies, crafts projects, etc. We encourage every family to personalize the visitation and service to best remember the life their loved one lived. Mounted on the wall is a 65" LED television, which we have provided for families to use who have selected to create a memorial tribute DVD of their loved one. These tributes play throughout visitation and serve as a way to show memories of their life. 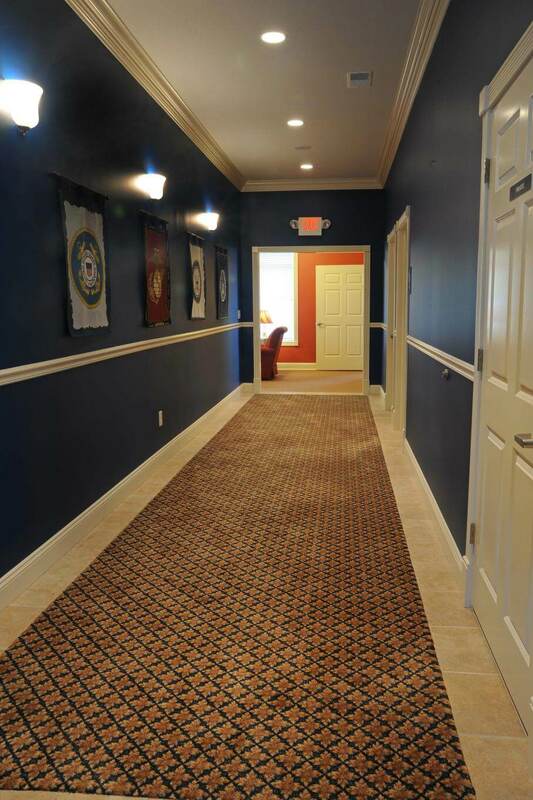 This corridor takes you from the main lobby to the remainder of the funeral home. We have used this space to honor all veterans who have served in the five branches of our armed services. 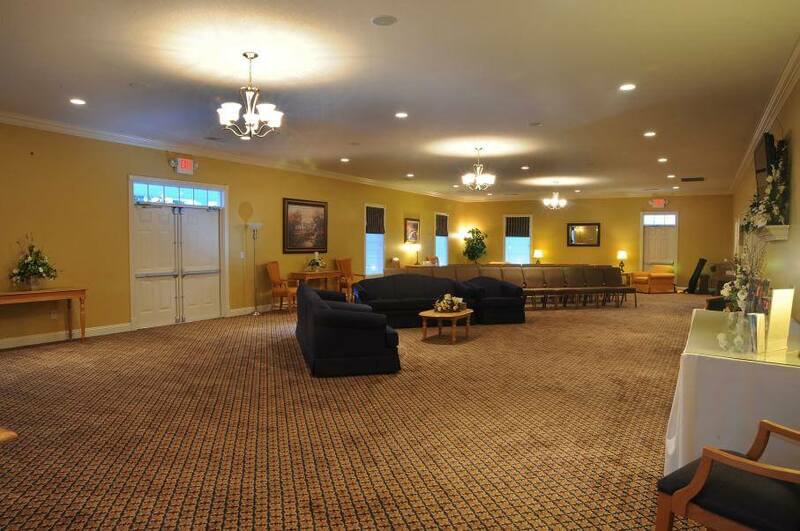 The corridor also provides access to our large restrooms, the family lounge, children's room, outdoor patio, and the funeral merchandise room. The photo above is of our children's room. Along with meeting the needs of the families that we serve, we have also thought about the needs of children during this difficult time. 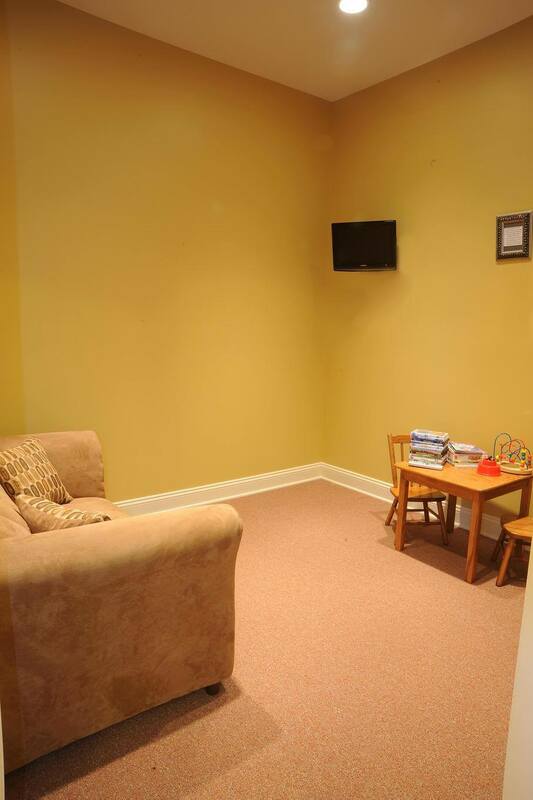 To help make this time more comfortable for them, we have this room equipped with cable television along with a wide array of appropriate children's DVD's. We offer a child's sized couch plus a small table for coloring and games. The above two photos are of the family lounge. This lounge is also furnished with comfortable chairs, a sofa, and also a dining room table, which seats six. 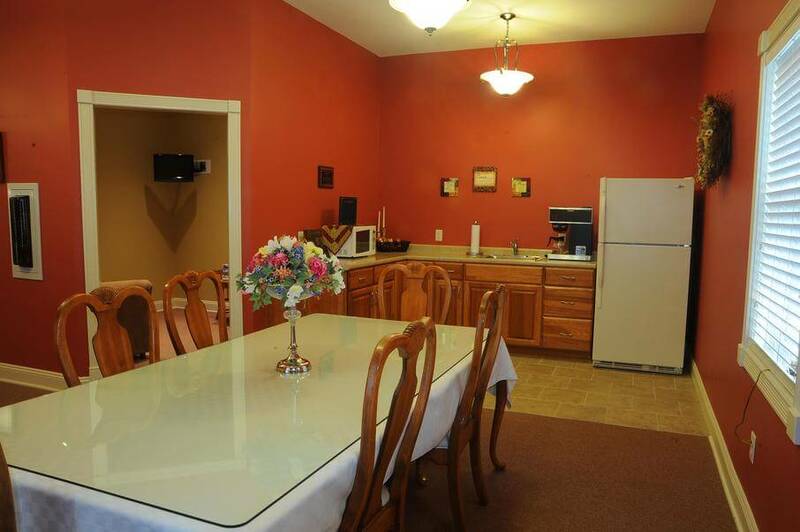 The lounge is also equipped with a mini-kitchen, including: microwave, large sink, coffee maker, and a full-size refrigerator. 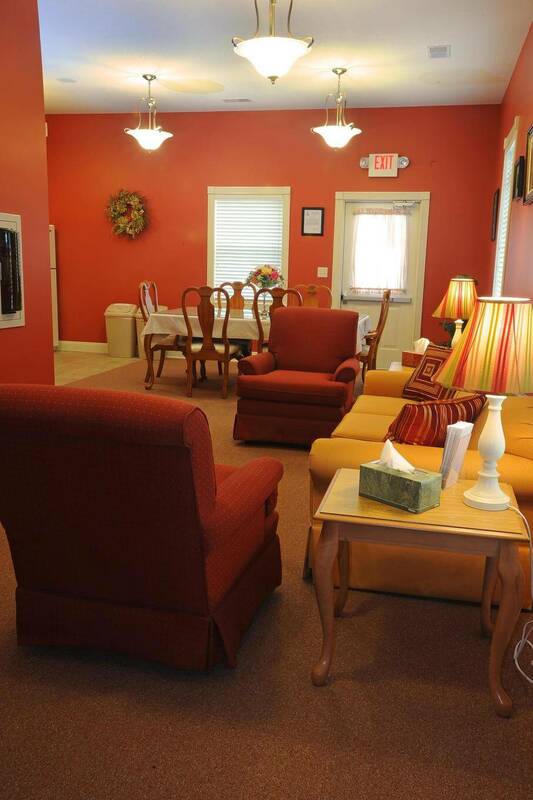 Schlosser Funeral Home provides regular and decaf coffee, a fridge stocked with bottled water, a variety of pop, including diet and caffeine-free, five dozen cookies, and a meat and cheese tray during all visitations. It is our hope that the lounge serves as a relaxing place for your family members and friends to come and sit for a moment. 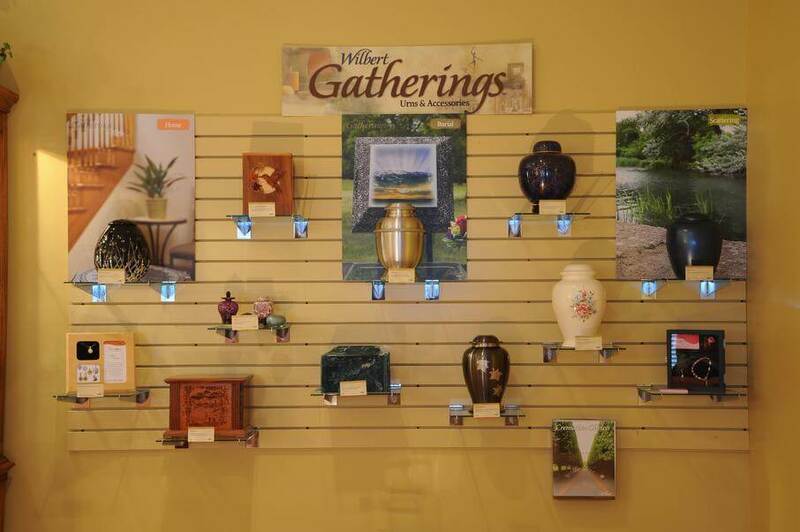 The above three photos are of our funeral merchandise room. 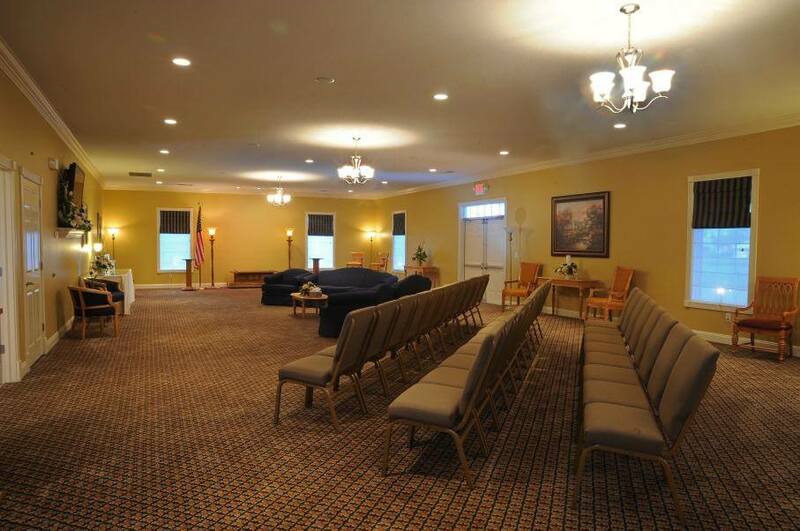 We understand that this room can be overwhelming for families coming to make funeral arrangements. Therefore, we have tried to make it as serene as possible, with comfortable seating and plenty of natural light. For more information about the products that are offered please see our merchandise page that explains all our offerings and choices.